HETTEN DES is a Belgian band with members who got already prouved their skills in a lot of different bands like: The Ratmen, Sin Alley, Donkey diesel, Big Bill and so many others. This CD features 13 songs, 7 of them are self-penned ones. The Others are covers by Johnny Cash, Danzing, Neil diamond, Hank williams Sr, Mike Ness and of course Motorhead. 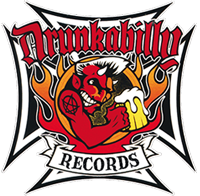 This is a combination from mainly Rockabilly and Country with a dosis of powerfull injected R'n'R and some punk infleunces. If you can make a combination from all these styles that ain't boring and it creates a great respons in all scene's....well sinners Power-Cuntry is born !!!!! 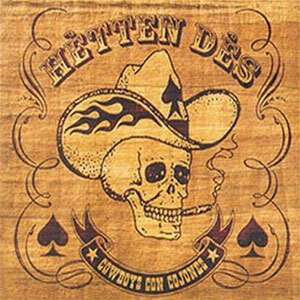 If Hank Williams III himself asked permission to cover a song from Hètten Dès, you're on the right track! They got some musical help from Martine Van Hoof (Sin Alley) doing some great backing vocals, and Jan De Smet ( De Nieuwe Snaar) puttin' a great moody accordion on 'Alone And Forsaken '. The CD was recorded at the BSB studio's in Brussels (the same studio that recorded Vaya Con Dios,Ozark Henry, Novastar and Clement Peerens Explosition!). And beware.....LINE-DANCING IS FORBIDDEN!!!! !